In light of the Syrian government’s preparations for a large-scale military operation in the rebel-held province of Idlib, the founder of the NGO “WeAreSuperHeroes,” Pierre Le Corf, has told Sputnik that he fears a fresh provocation from militants. According to Le Corf, terrorists’ principal aim is to prompt a Western intervention – something that would exacerbate the chaos in Syria, which has been engulfed in a civil war for over seven years. "It will not be just a battle [in Idlib]. This is the last chance for Western forces (including my country, France) to interfere in the situation in Syria, to find an excuse to be able to start off a more global conflict. […] The day when the battle for Idlib is over, the coalition – Europe and the US – will lose the war in Syria, this will be the end. " Le Corf, who has been living in Aleppo since 2016, has revealed that the city is still being shelled from its western outskirts due to its proximity to Idlib, which is the last remaining stronghold of insurgency in the country. "People do not think about it, they have been living like this for years. They believe that all this will not stop soon. They are rather ignoring all this than are afraid. People are tired; they do not want to think about it, even if fighting continues in Aleppo." 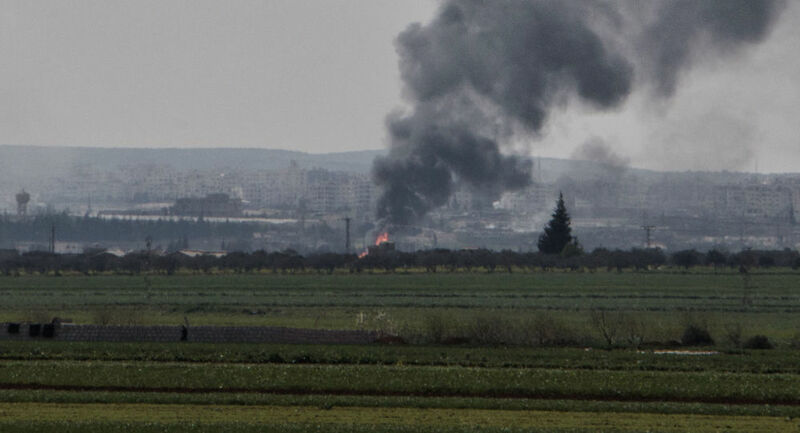 "Now we live in close proximity to the largest combat zone in Syria," Le Corf said, pointing to the presence of multiple belligerent parties in the area. The activist also spoke about his work, how he has helped children both in western and eastern Aleppo, which was long controlled by jihadists. Pierre hopes that the Syrians will continue his work no matter what happens. "No one wants to work in eastern Aleppo because people are still afraid. But if they [the children] are not helped, tomorrow there will be 30,000 new jihadists. This is the problem of the country; this is a problem that, in theory, the government should solve. If tomorrow something happens to me – I’ve been very lucky so far, I was wounded only once – I'm afraid that all these projects, which only my association is running, will be halted." During the battle for Aleppo in 2016, Le Corf became the target of French journalists: his words that there are civilian casualties on both sides did not conform to the generally accepted coverage of the conflict in media. Back then, they called him the "mouthpiece of official propaganda," accused him of having links with “extreme right-wing” groups, with "ultra-Catholic circles," because of his closeness to the association "SOS Chrétiens d'Orient." This criticism came from "people who hope not to be on the bad side in this story," he told Sputnik. "If tomorrow I'm going to talk about terrorists, about bombings, about what's happening, etc., I'll do it because that's what I see. I'm on no one's side, I'm not talking politics — I talk about what's really going on. They are ascribing the role of an expert in the conflict zone to me… But this is not the case. I'm just a person, I have a small association, I help people and when I speak, I speak as a person, not as an expert in geopolitics." Le Corf’s comments come shortly after the Russian Defense Ministry stated that terrorists in Idlib have almost completed their preparations for a provocation in order to accuse the Syrian government of using chemical weapons against civilians.